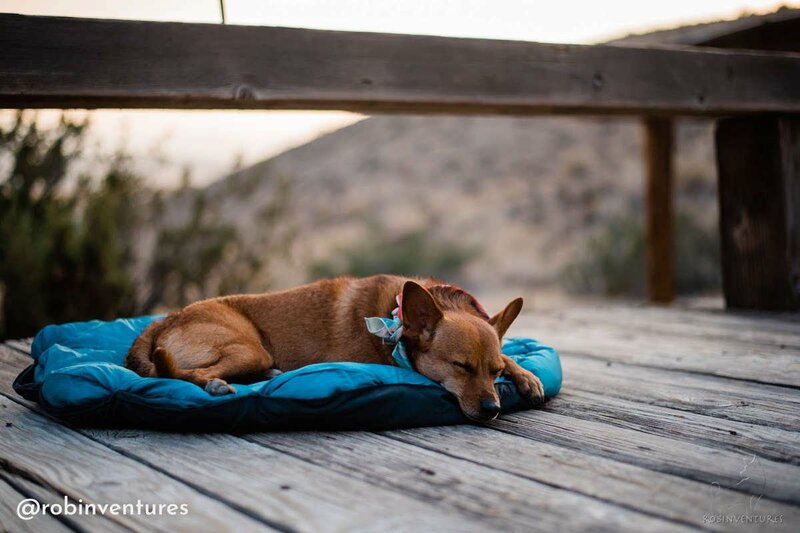 Whyld River's DoggyBag is made from premium materials just like your own sleeping bag, but has been designed for your dog's ultimate comfort and safety. "A friend gifted me this bag for the winter camping season, and so far, I don't think I could have done without it. It was so warm that when my dog was in it for just a few minutes in near-freezing weather, I could slide my hand inside and feel my own fingertips defrosting." Whyld River is the perfect balance of packability and comfort... 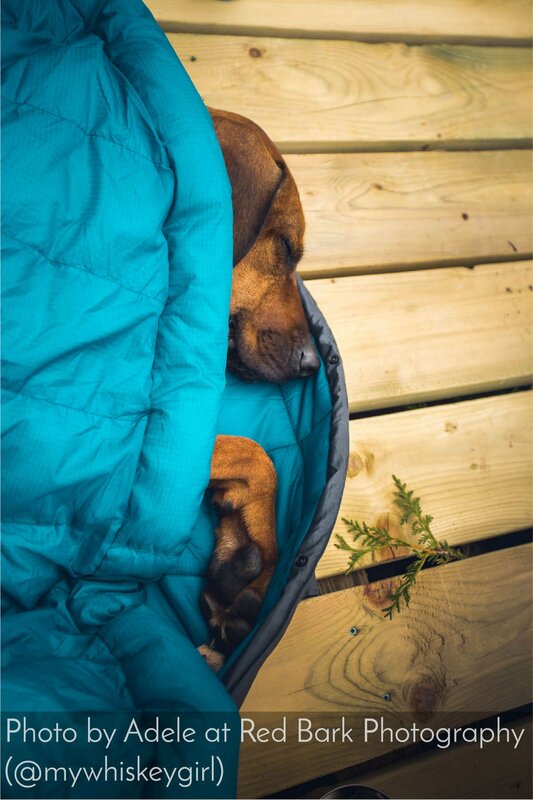 The thoughtful features (baffled insulation, draft blockers, ripstop) are enough to keep any gear snob happy and might make you jealous of your dog's sleeping bag. This bag has been a game changer for our overnight trips! 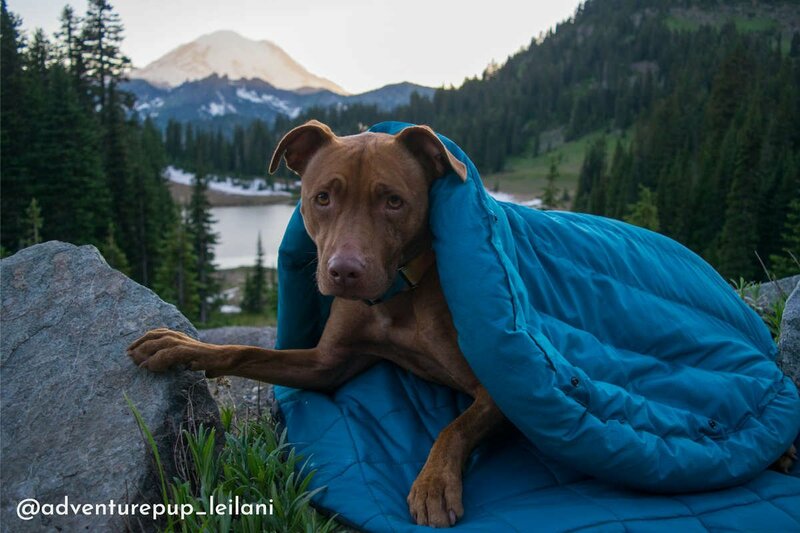 I used to share my bag with Lani, who would get cold otherwise... Lani and I both are so much more comfortable having a Whyld River DoggyBag on our overnight trips. If you've met Lani, you understand the princess only rests on the softest, most cushioned beds. This one passes the diva test. What makes our sleeping bag special? Plastic snaps ensure that your pup never feels trapped in their DoggyBag. 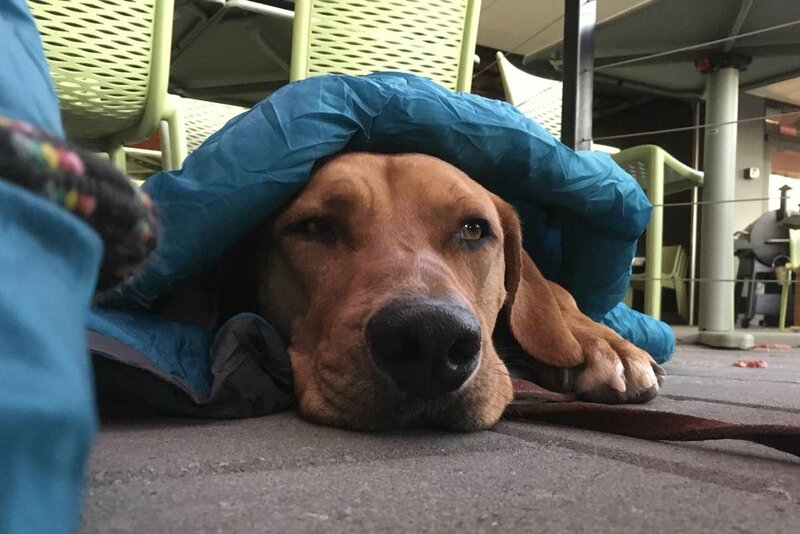 A draft sleeve lines the inside of the DoggyBag to keep out cold winds and doubles as a bolster when the DoggyBag is being used as a travel bed. Reflective logos to make it easy to find and snap your DoggyBag by headlamp or flashlight.